Actor and comedian Kapil Sharma met Ginni Chatrath in college and knew each other for over 9 years but only grew closer recently. Having fallen in love, the two were married in Jalandhar. After the wedding, the couple returned to Mumbai where they had a star studded reception. 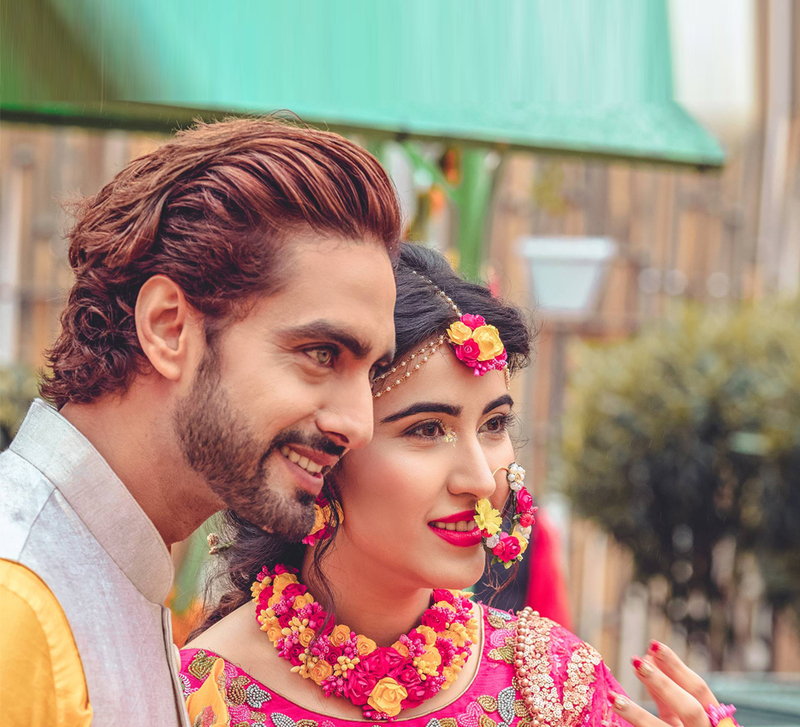 The celebrations, planned and executed by WeddingSutra Favorite, Kaleerein by Kanika Kumria is worth a closer look. The pre-wedding celebrations began with a traditional bangle ceremony for the bride while the groom’s family celebrated with a jagran. After the rituals, there was a cocktail/jaago night at which all the guests danced into the wee hours. With statement décor, gorgeous mehndi and all the laughter at the party, it was surely a great beginning to the fun that followed. The couple had two separate wedding ceremonies where the first one was a traditional Hindu ceremony followed by an Anand Karaj the next day. We cannot stop gushing about how cute this couple looked on their big day. With a bright yellow as the core décor color for the Anand Karaj, the ‘royal’ theme was expressed via motifs and plush accents. 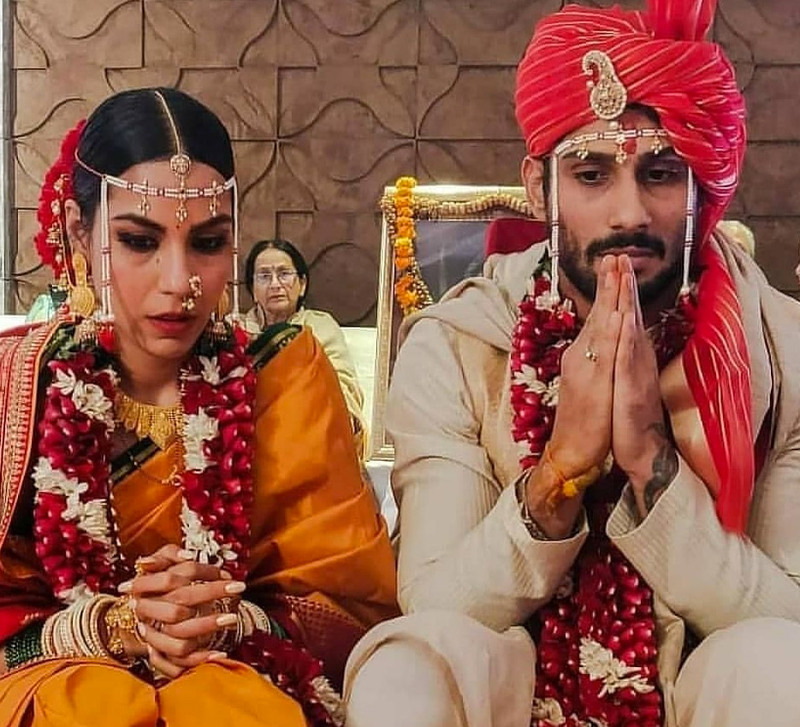 Gurdas Mann performed, mesmerizing everyone while celebrities like Abbas-Mastan and Navjyot Singh Siddhu were present to wish the newly married couple. With all the traditions perfectly packed away, it was time for the couple’s first reception at the Radisson Blu, Amritsar. A black and gold color scheme added an element of pure glamor to the function. None other than international legend Daler Mehndi performed live! The guests were thrilled! In Mumbai, the couple hosted a starry celebrity guest list at the JW Marriott, Sahar. White was the dominant color and fresh flowers like gypsophila, dry white orchids, white carnations and hydrangea were used to maximize the effect. Lanterns illuminated the entrance and brought an exotic magic to the set up. The night belonged to Mika Singh who had everyone on their toes. He was followed by DJ Chetas who took over the console and got the whole crowed grooving. On the dancefloor and at the party were the likes of Deepika Padukone and Ranveer Singh, Karan Johar, Kartik Aryan, Rekha, Dharmendar and many more! Pictures from the wedding, flooded social media, showing the happy couple having the time of their lives as they participated in the merriment and served up striking looks at each event! The newly married comedian and actor even credited the talented team of Kaleerein by Kanika Kumria for planning and executing his big day as he gave them a shoutout on Instagram. The couple hosted their third reception at ITC Maurya in Delhi for their close friends. Cricketers Yuvraj Singh and Suresh Raina and singers Mika Singh and Daler Mehndi and the Ambassador of France to India, Alexandre Ziegler also made an appearance at the reception party.